Rotary and Flat Steel Rule Cutting Dies, and Die Supplies - Triangle Dies & Supplies, Inc.
Triangle Dies and Supplies, Inc. Your solution for high speed rotary die cutting. Our rotary tooling is available in three different product line offerings. 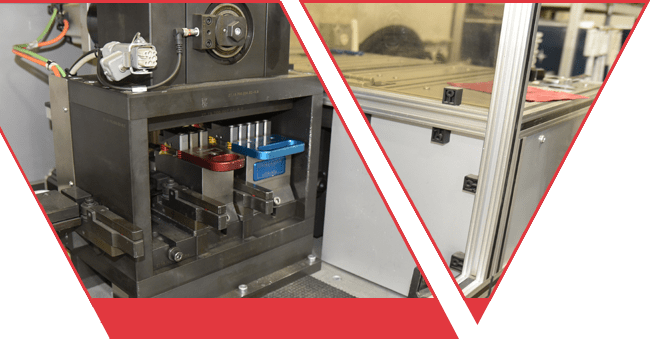 When high performance tooling is a must go with the industry leader. Our mechanical stripping rotary cutting dies incorporate the latest technology and design specifications. Your solution for tooling built for vacuum assist and soft anvil die-cutting. High performance tooling built for high performance die cutters. Our auto-platen tooling is available in three different product line offerings. Offering phenolic and milled steel counters for paper board and corrugated packaging. High performance manufacturing systems for high performance tooling. uncompromising quality in a timely, cost effective manner. 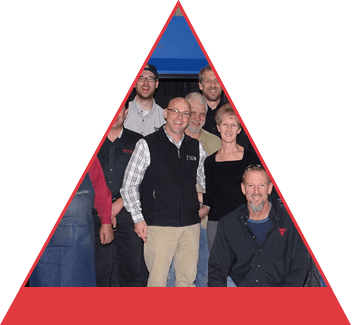 For more than 64 years, Triangle Dies and Supplies has been building cutting dies for many of the premiere packaging companies in the industry. We welcome the opportunity to introduce you to our family owned company. With BOXPLAN, Joachim Jakob and the "expert'strip" stripping technology (crown'pins with EASYsetter), TRIANGLE achieves high functionality and efficiency for its customers. In cooperation with the experts of Bobst North America, the successful application of the "expert'strip" stripping technology will be continued in the future. Central Package & Display’s production and lean teams have been instrumental in bringing cutting die recycling to Minnesota. CP&D was the first Minnesota company to fully participate in a sustainability program and successfully establish a billable process.